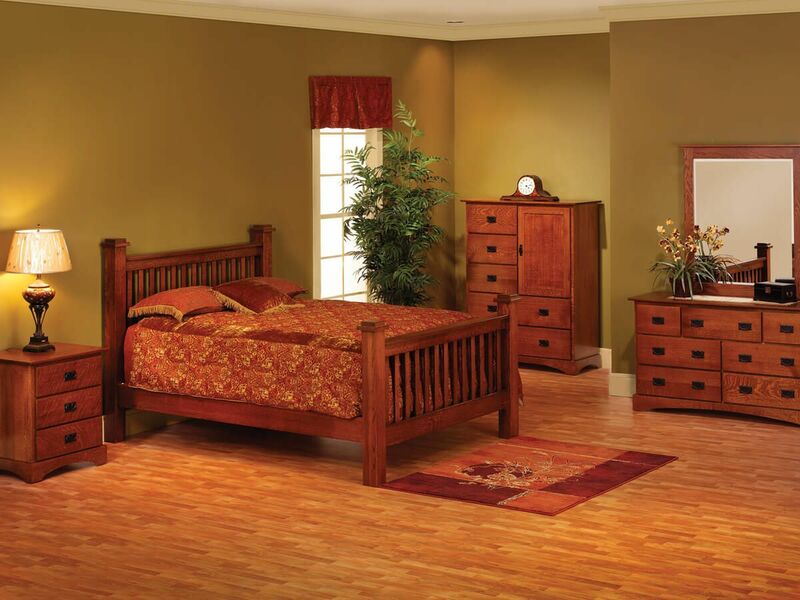 Our Mission Hills Vintage Bed is a testament to genuine Amish woodworking. All beds are handcrafted from solid hardwood in your selected wood species. Sturdy and practical, our Mission Hills Vintage Bed is the ideal choice for your master bedroom or guest suite. Pair this mission style bed with the matching nightstand, dresser, and chest of the drawers to complete your bedroom collection. Each under bed slat is securely dovetailed into the side rails of your Mission Hills Vintage Bed. Additionally, Queen, King, and California King sized beds are constructed with added mattress support provided by legs secured to the center of the slat. 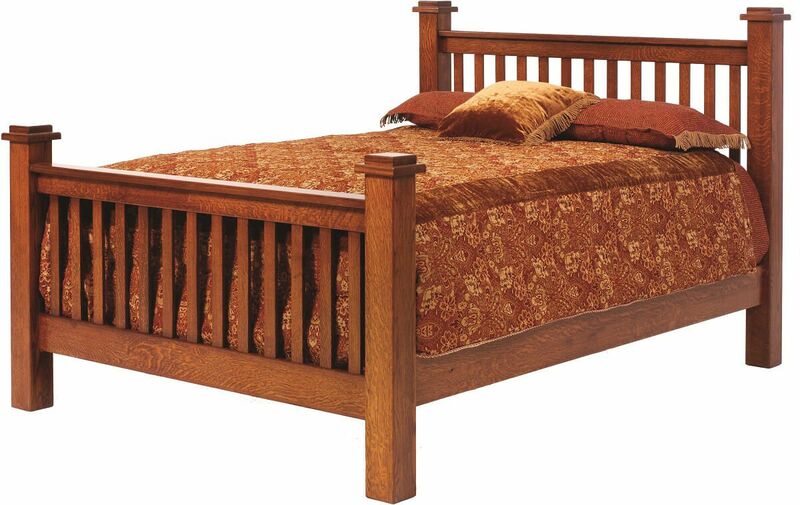 Though pictured in Quartersawn White Oak, our Mission Hills Bed is available in any offered wood species and finish. Indicate your preferred specifications using the options menu, before placing this mission style bed in your shopping cart.